Comes in a galvanized (silver finish). Steps are galvanized for extra protection. 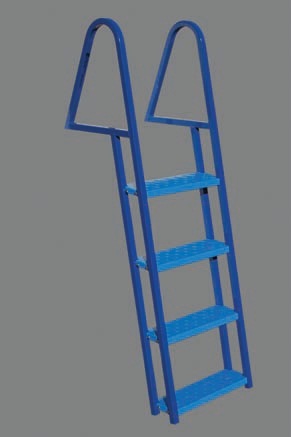 This ladder protects against rust and corrosion in salt water. 250 pound capacity.